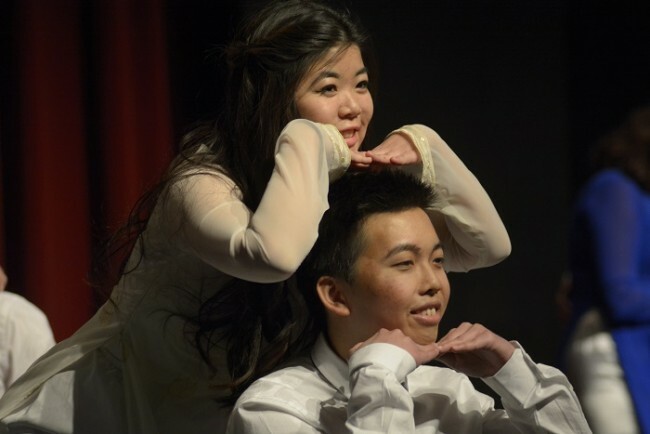 The Vietnamese Student Association hosted their 2nd annual Vietnamese Cultural Night at the Nordhoff Campus Theatre Friday evening. Domestic violence and acceptance was the key theme to this year’s Vietnamese Culture Night as VSA members from all over Southern California gathered to help support the CSUN chapter of the organization. Various VSA members performed in “Bonds”, a live-action play with short musical acts in between. After the intermission, the organization’s dance groups performed modern and traditional Vietnamese dances in between the scenes of the play.. The audience was engaged with the performance, shouting words of encouragement to their friends on stage in between scenes and set changes. Asher Reeves, a 21 year-old California State University Long Beach student, was one of the off-campus VSA members to stop by the event, and expressed his love for both the VSA, and Friday night’s production. 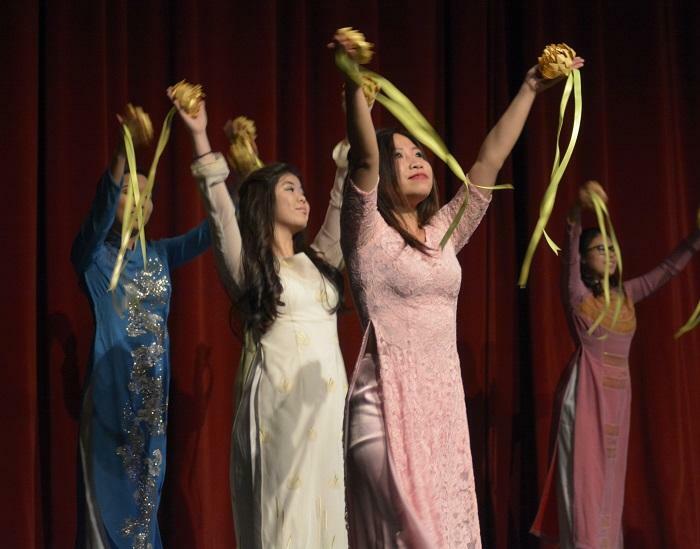 Non-Vietnamese attendees had the opportunity to learn a little about Vietnamese culture during the dance team’s traditional routine. The event concluded with a flower ceremony and a special acknowledgement given to Vo for stepping in at the last minute to help write the script and direct the performance.